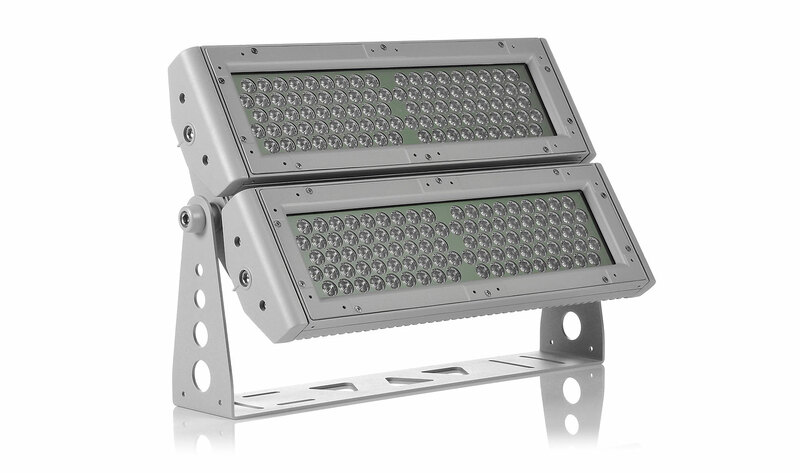 Designed for maximum coverage of large buildings and landscapes, the ArcPad Xtreme™ produces an extremely high light output across two independently controlled LED modules. The fixture is completely silent due to convection cooling and the IP67 rating ensures it is suitable for the toughest locations. The RGBW LED chips deliver stunning light quality, with output of almost 30,000 lumens, to make the ArcPad Xtreme™ the obvious choice for when maximum brightness is required. Two independently focusable modules allow maximum coverage over extended distance.